The only feature, WP ERP had lacking, was Frontend Forms. 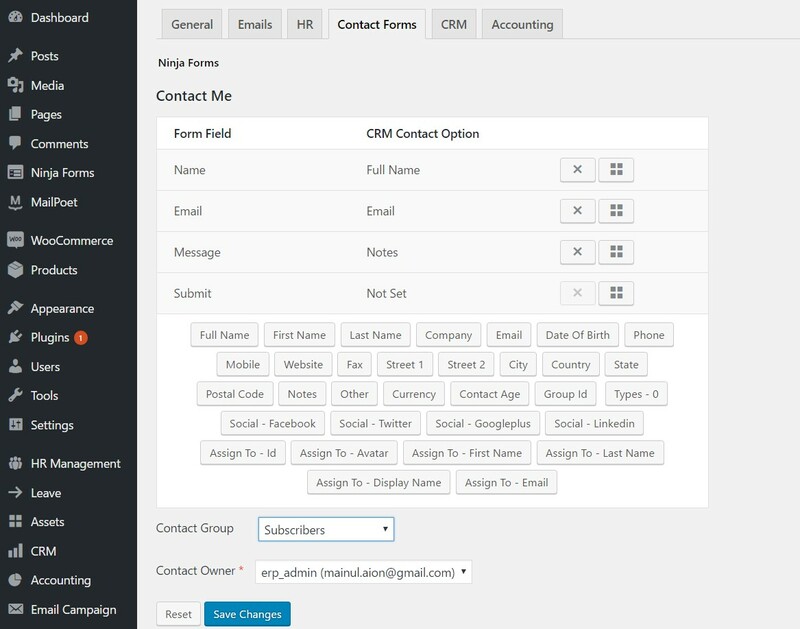 In a recent update, WP ERP introduced subscription forms and widgets for the CRM module. Now it is possible to register users or subscribers directly to the CRM module from frontend. Most importantly, there are different variations and designs for the forms which will be very handy for the users. Besides this feature, WP ERP CRM had built-in integration for a long time. Yes, you heard right. You can integrate WP ERP CRM module with popular contact form plugins including Contact Form 7, Ninja Forms and Gravity Forms. WP ERP core CRM module is totally FREE and it comes with built-in integration for Contact Form 7 and Ninja Forms. However, the Integration for Gravity Form comes as an extension. Today, we will show you how these contact form integrations work. If you navigate to ERP settings menu from your WordPress Admin Dashboard, you will find a tab just for Contact Forms. It will show relevant settings, which you will be able to configure only when you have supported active plugins. 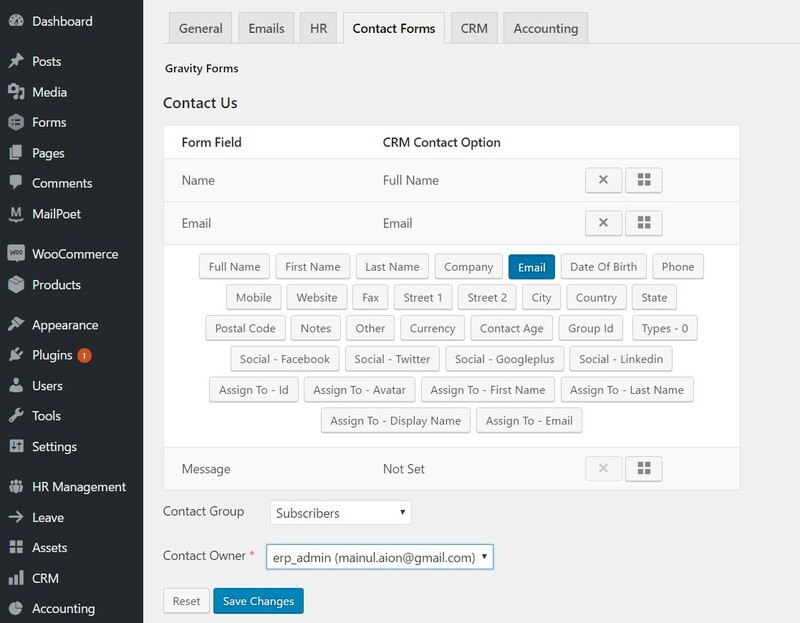 Ninja Forms is one of the most used contact form plugins out there for its outstanding UI and excellent features. It has more than 800k active downloads at the moment. As you already know, creating forms with Ninja Form is extremely easy and it's possible to publish them using shortcodes. You can easily use the forms you have created with Ninja Forms to register subscribers to your CRM system. All you have to do is to configure and specify the Form Fields for your CRM Contact Option. When a user registers using your contact form, this integration helps to create CRM contacts using the provided information. Contact Form 7 is the most popular contact form plugin in the WordPress.org with more than 3 Million active downloads. It's very easy to use and configure. The integration with WP ERP CRM and Contact Form 7 is same as Ninja Forms. When you have Contact Form 7 installed and activated on your WordPress site, you will find the settings to configure this integration. 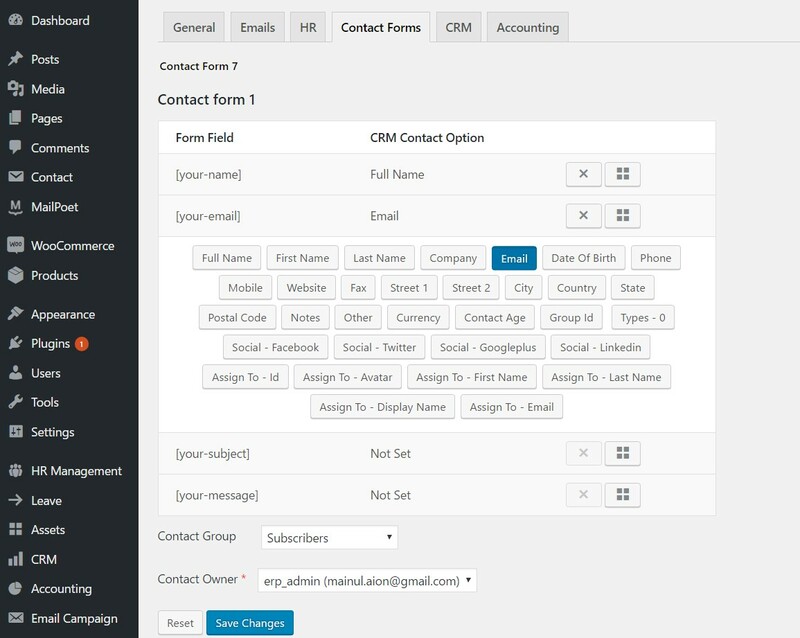 You have to select CRM contact fields for the Form fields of Contact Form 7. You can also specify Contact Groups and Contact Owner if you want because it becomes handy sometimes. So, when a user registers using your form created with Contact Form 7, they get subscribed automatically and becomes your CRM contact. 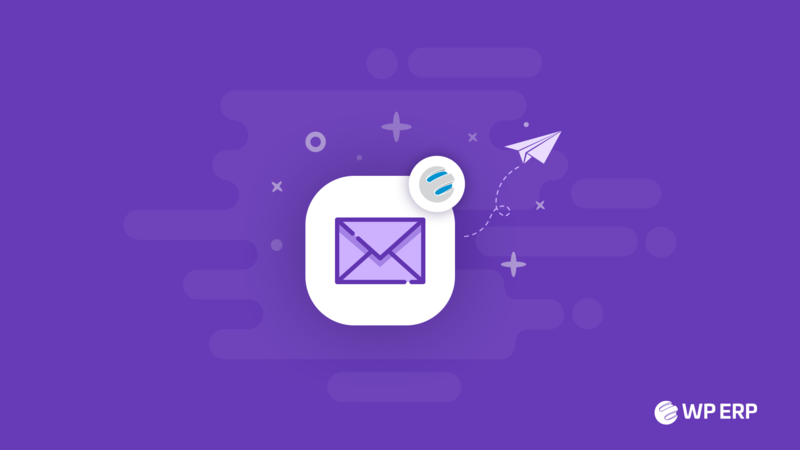 Gravity Forms is one of the powerful contact form plugins available for WordPress with more than 1 Million active downloads. Most importantly, it's a premium plugin with no free version. WP ERP CRM module also works perfectly with this contact form plugin. However, you will need an extension for this integration. Enterprise Resource Planning aka ERP solutions are very much important for a business to grow in this competitive world. 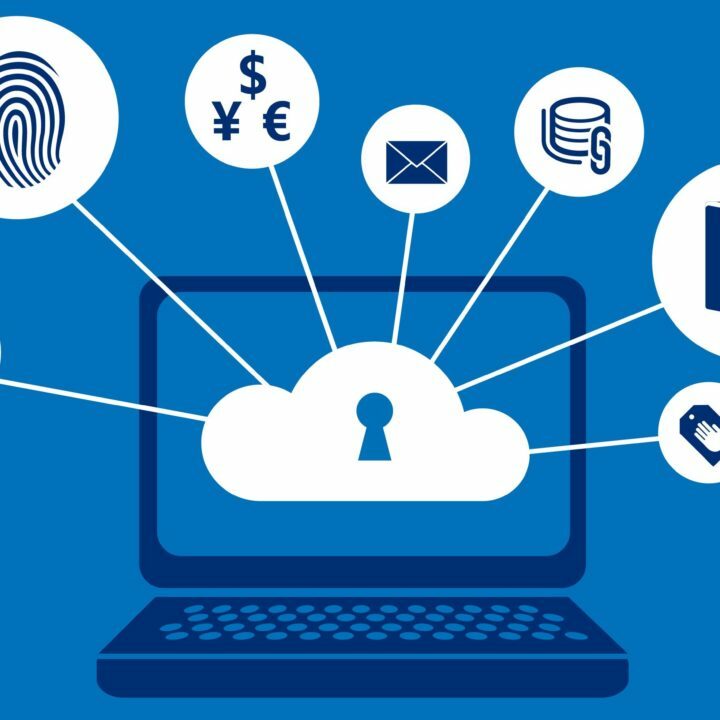 Large enterprises are reaching their goals very quickly as they can spend a handsome amount of money for powerful and customized ERP solutions. On the other hand, small business owners are falling behind. WP ERP is designed for small business owners so that they can compete in the race to become a powerful business in no time. WP ERP comes with three FREE core modules including CRM, HRM and Accounting. However, there are 28+ powerful extensions to boost your business. So, when you have a perfect subscription form that can work with your CRM system, you can get a lot of benefits that can help you in the long run.